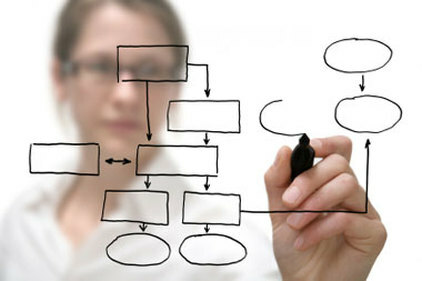 BPM is defined by AIIM as "a way of looking at and then controlling the processes that are present in an organization." What is the Business Value to Your Organization? Our BPM solutions can help you enhance competitiveness and increase profitability by improving the speed, consistency, transparency and auditability of your business processes. What is Unique about Our BPM Solutions? Our information management experts have been implementing BPM and process automation solutions for over 14 years and have deep practical experience with what works…and what doesn’t. With a long history as an HPE and now MicroFocus Business Partner, we specialize MicroFocus's Process Automation (formerly Autonomy Process Automation and Cardiff LiquidOffice), and MicroFocus's Content Manager (formerly called Records Manager, HP TRIM and TRIM Context). MicroFocus's Process Automation is a leading web-based solution for creating e-forms and automated workflows. MicroFocus's Content Manager is a mature, unified information management platform with tightly integrated document management, records management, and workflow. We have implemented BPM solutions to solve common business problems such as correspondence tracking, case management, claims processing, directives management, contracts management, and basic document routing and approval. What makes our BPM solutions unique is the combination of mature and proven software products from HP, a “clicks not code” approach that minimizes the use of custom programming, and the ability to include both structured and unstructured information in your business workflows. We will architect a solution – based on world class BPM products from HP – that accomplishes your objectives quickly and cost effectively. Regardless of where you are in your search for a BPM or workflow solution, we can help you get there. Contact Us for a demonstration, to discuss past successes (and failures), to arrange for a fixed-fee proof of concept, or to simply talk about issues related to BPM and workflow automation.